Do we need a Space Party? We've got a Green party to advocate for environmental causes on Earth. But what about a Space party? With a burgeoning private space industry, and the International Space Station in full flower, maybe it's time for space advocates to represent their interests politically. What would that look like? Let's do a thought experiment. First we need to ask what a Space party would advocate for. It seems to me that the Space party's goal would be to help humanity explore space, both for resources and potential colonization. That would mean that the agenda for such a party would be to fund basic research into fuels and engines that could be used in space exploration, as well as the kinds of habitats we'd need in order to live in space or another world full time. It would also mean doing more robotic reconnaissance missions to find out what exactly the resources are that we can exploit in space, without doing the kind of environmental damage that we've done on our own planet. I think those are worthy long-term goals, and I'm sure we could add more to them. But there are also a lot of short-term goals that the Space party would need to deal with. For example, we're fast approaching a time when we need to start thinking about how nations and private entities will be held accountable for their space junk. Right now there is an estimated 5,000 tons of debris up there orbiting the planet, and it's dangerous for explorers and for new vessels and satellites. How are we going to clean that up? Who is responsible if the ISS is smashed with a chunk from a dead satellite? Or a person is smashed with one that comes back down to Earth? A Space party can help us come up with some legal frameworks and international policies for dealing with this growing problem. The space junk problem brings up another issue, which is territorial. Do we need to start thinking about extending airspace further up, into the regions above our atmosphere? Will space continue to function the way international waters do? Should countries or corporations be able to lay claim to regions of the Moon or asteroids for mining? Given that mining is one of the major incentives for private companies investing in space flight, this is not a crazy question. It's a next-fifty-years question, and so is space junk liability. A Space party might also want to take the lead on dealing with any kind of crises or disasters that come from space, too. Incoming asteroid? The Space party should have a system in place that allows the world's nations to reach a quick decision about how to react. Same goes for the unlikely (but not completely impossible) chance that we are contacted or visited by extraterrestrial intelligence. What's our policy on that? What's the best way to make first contact? There are social scientists who have thought about this, but we have no political entity that's poised to take responsibility. Without one, there will be chaos. So one thing a Space party would advocate for would be the formation of international bodies that could deal with something like space junk liability, as well as organizing a response to a space-based emergency like an incoming asteroid. As space entrepreneurs are fond of saying, we've moved beyond the exploration phase in space and into the exploitation phase. Private companies are trying to get into the business of space mining, space tourism, and even Mars colonization. We need a political party that can advocate for doing all of these things safely, both for humans and for the environments we'll encounter beyond the Earth. That said, we also need a party that can advocate for getting these things done without red tape of nationalistic sentiment, and without anti-science propagandizing getting in our way. We also need a party that will advocate for new ways that governments and private entities can work together on basic research as well as product development. As a potential member of the Space party, I would love to see politicians arguing, for example, that we need to fund research into geoengineering so that we can create space habitats for humans in the long run — but in the short run, so that we can make our habitats on Earth more sustainable for all the living creatures on our home planet. My point is that the Space party would exist to safeguard our planet, as well as to safeguard our future in space. 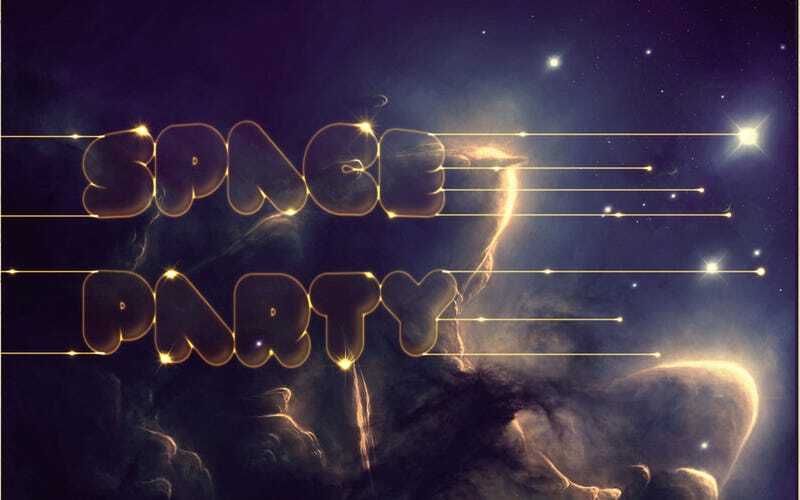 I think a Space party would be appealing to constituents who don't fit into typical political categories — there will be reasons for people from both the left and the right to want Space issues on the political agenda. Humans' greatest strength lies in our ability to explore. The Space party would be our chance to turn our love of discovery into a political force — and to fight for our goal of creating a future for humanity that goes beyond this lovely but small planet.